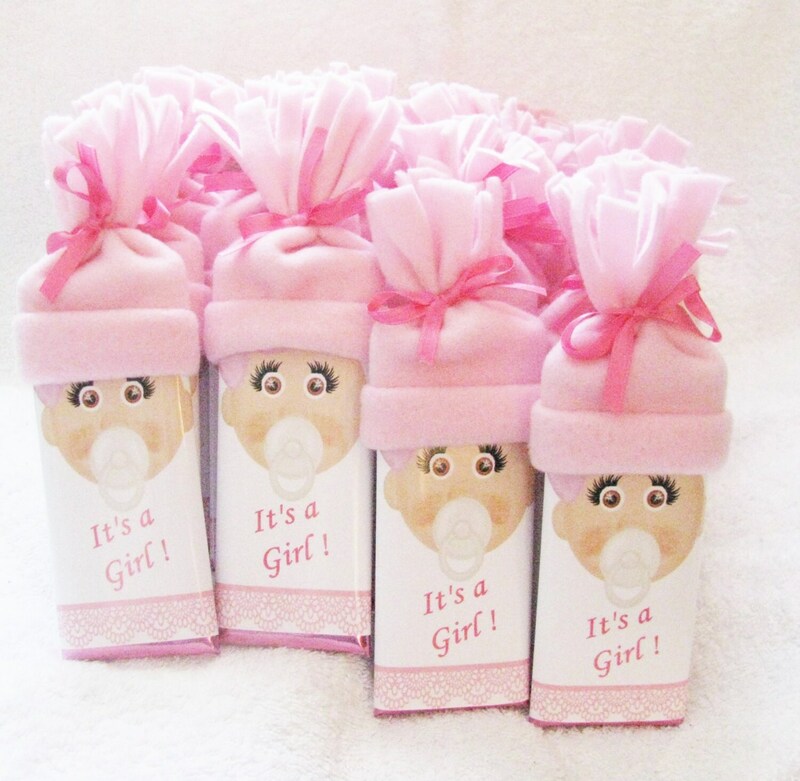 Personalized chocolate Baby Shower Favors It's A Girl! We have pink, blue, yellow, mint green, and purple hats. Get all one color or mix and match. 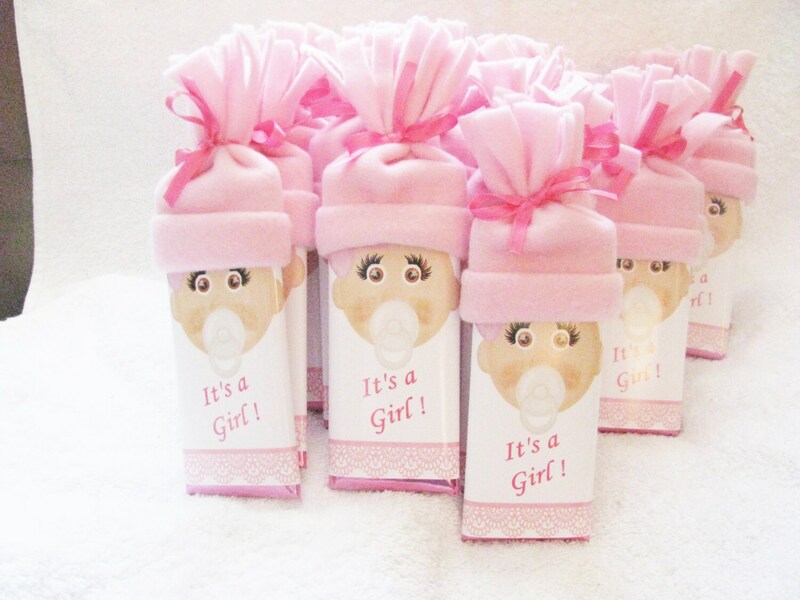 We know you'll love these adorable girl baby shower favors! EACH bar is $4.25 but we know that once you see them, you'll be thrilled with your purchase! 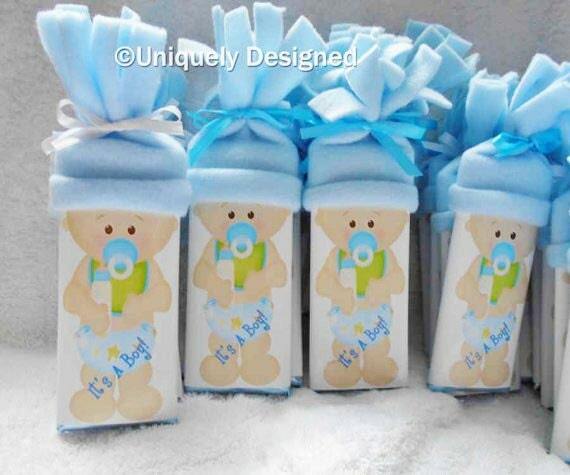 This price includes any custom work, personalizing, the handmade baby hat and wrapper, as well as the Hershey bar and foil (all assembled). It is truly a labor of love! And we love making them! You can go ahead and order unless there isn't enough listed, then please contact us so we can relist it. We have had orders over 100 and will just send them in 2 boxes. And we do small orders. No order is too big or small. All orders will get a proof before printing! So please check your messages! All orders are custom.